Beyond the assurance of a painstaking certification process and 24-hour Roadside Assistance, every Certified Pre-Owned Mercedes-Benz now comes with industry-leading coverage: an unlimited-milage warranty for one year that can be extended for up to two additional years. Mercedes-Benz of North Haven is a full-service Mercedes-Benz center, offering premier Sales, Service and Parts to the drivers of Connecticut and beyond. Our goal is to be at the forefront of customer care, by providing an impeccably memorable luxury car buying and service experience. What’s better than a Mercedes-Benz? A Mercedes-Benz from Mercedes-Benz of North Haven. Whether you are looking for a new Mercedes-Benz CLA, C-Class Sedan, C-Class Coupe, E-Class, GLA, GLC, GLE, or even an AMG® model, the team at Mercedes-Benz of North Haven can help you find what you need. 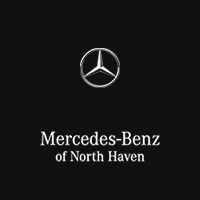 From North Haven our Mercedes-Benz center can serve all the surrounding areas including New Haven, Meriden, Waterbury, Ansonia, Wallingford, Cheshire, Southington, Watertown, Middlebury, Plymouth, Madison, Northford, Beacon Falls, Branford, Guilford, Naugatuck, Seymour, and all points in between.